Airbus is to no longer mean just civil aircraft. 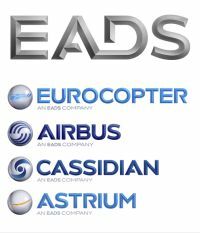 From January the various companies that make up EADS will trade under the single name of Airbus in three divisions. France has taken delivery of the first of 50 Airbus A400 Atlas military transport it has on order. The A400 is a 21st century version of the Shorts Belfast capable of lifting up to 37 tons of varied equipment through a rear doorway and landing on rough strips. 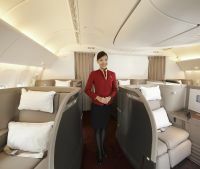 Cathay Pacific Airways unveiled a refreshed First Class product which features a significant enhancement to the cabin’s look and feel along with the introduction of a number of new features. 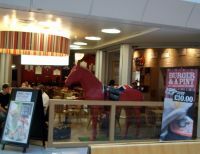 Last week Business Travel News reported on Heathrow dining “Food on the Fly”. Clearly the airport is very much into looking after the well-being of travellers and with many airlines reducing their on-board servings to a minimum says that the 'take onboard' menu option is being used by 17% of passengers. 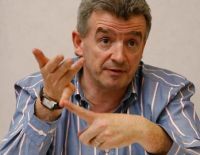 Michael O’Leary is a firm believer in the maxim “All publicity is good publicity”. The carrier dubbed by some “The world’s most annoying airline” but likely to carry around 80m passengers this year, has been much in the news last week. 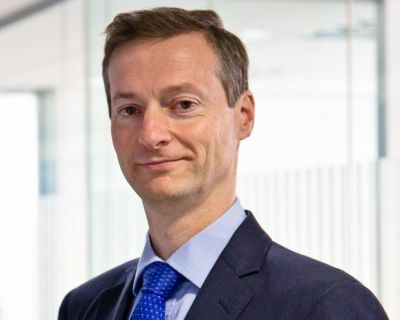 Paul Campion leads IBM's business in the Travel and Transport industry sectors in the UK and Ireland and sits on IBM UK's Diversity and Sustainability boards. Externally, Paul is a member of the "Think Tank" tasked with helping the Technology Strategy Board to create a Transport Systems Catapult, as announced in the Budget in early 2012. Paul has been in the IT industry for over 25 years. Before his current role he led the IBM UK and Ireland software sales teams. OAG’s, the aviation data specialist, latest airline capacity data for August shows that carriers worldwide are expected to see an increase of 2% in flights versus last year, and an increase of 5% capacity. 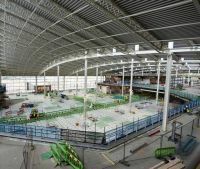 In a statement late on Friday last week the Airport Commission, headed by Sir Howard Davies, announced that it will publish sometime in the next few days a summary of submissions for making the best use of existing capacity in the short and medium term. No specific timetable was given. “Whilst the options proposed will not be linked directly to submitters, a list of submitters will be included in the paper”. Saad Hammad, has arrived as Chief Executive of loss-making Flybe, listed on the London Stock Exchange (See BTN 8 July) . He takes over from Jim French, now Non-Executive Chairman. 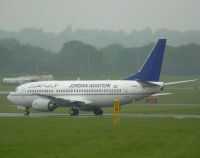 Mr French joined the then Jersey European Airways in 1990, the company floating as Flybe in December 2010 at 295p. On Mr Hammad’s arrival, 1 August, they stood at 60p. 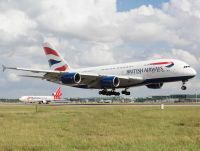 British Airways was again the star performer as IAG published its results for the first six months of 2013 last week. In a bullish mood CEO Willie Walsh reported losses of €506m against €390m last year. IAG says the loss is down to exceptional one-off items following restructuring at Iberia. 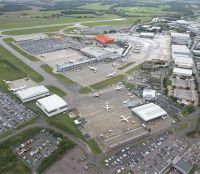 Last week BTN reported that Luton Airport, north of London, had not been part of the airports’ sale by Spanish infrastructure group Abertis. Seven days later and things have moved on. 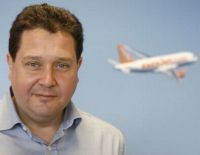 EasyJet has confirmed the immediate departure of Paul Simmons, Regional General Manager UK, the British sales face of the airline. He takes up a position with another yet to be named British-based travel organisation in October. In a statement the airline said: “EasyJet can confirm that Paul Simmons, Director UK Market, has decided to leave the airline in order to take up a lead commercial role in another UK travel company. Passengers of easyJet will be greeted onboard this autumn by cabin crew in stylish new attire created by designer Jeff Banks and his team of corporate wear specialists. A choice of six new pieces has been added for the airline’s 4,000 plus cabin crew to choose from, in addition to the current uniform worn onboard easyJet’s 1,300+ daily flights serving over 30 countries after a comprehensive design, trial and production period of six months. It is the first time since 2007 that easyJet has updated its cabin crew uniform. A close friend is cursing the low-cost airlines who fly to the same destination from most London airports. Last week British Airways brought an A380 into London’s Stansted airport for the first time. It was part of a training programme to familiarise both the aircrew and the ground handling staff with the mighty Airbus. It was bad news followed by good news by Air Atlantique – Classic Air Force last week. 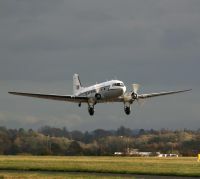 Douglas DC-3 G-AMRA departed Coventry Airport for Berlin Schönefeld, closing a famous chapter in the history of the West Midlands airport. The plane's new owner is Air Service Berlin who plan to keep it flying as a permanent memorial to the 1948 Berlin Air Lift in which the DC3 played a significant role. Dubai International’s passenger traffic hit 32.6m in the first half of this year, making it the busiest six months in the airport’s history. 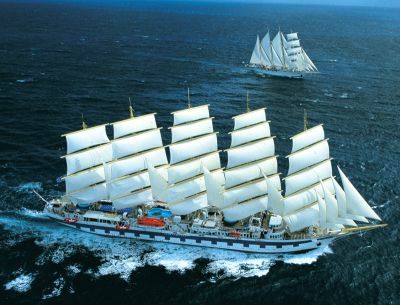 It is believed that about 80% of the numbers were in transit. The average monthly figure recorded January – June stood at 5.44m compared to 4.65m during the corresponding period in 2012. Claimed to be Africa’s first ‘low-cost’ airline, fastjet is to introduce its much heralded flights between Dar es Salaam (Tanzania) and Johannesburg (South Africa) on 27 September. Initially this will be three times weekly operated by an Airbus A320. Tickets have already gone on sale. The row continues on what Heathrow Airport charges airlines, which means in effect how much does the passenger pay. Paris is set to welcome a Hotel Indigo next year. 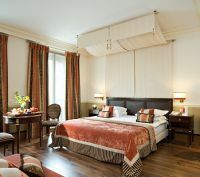 Currently trading as Hôtel Édouard VII, the 57-room property is located just a few steps from Opera Garnier and the InterContinental Paris Le Grand. It may have closed down in 2002 but in a sense Virgin Cinema is still with us. 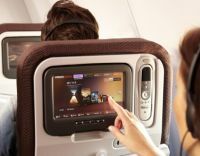 If you are flying on Virgin Atlantic the airline has introduced a web-based film preview showing what is available with its in-flight entertainment kit in all classes, the August edition now being available on-line. The idea is when checking in at home or the office, or just having a think about your flight, you can settle down, on the ground and take a quick glance to consider your choices. Called ‘Vera’ it is a touch-screen system.